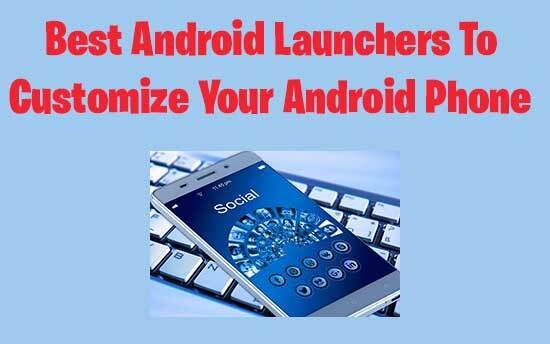 Android launchers are something that may help you to spice up your phone’s interface and helps you to call, message and to launch apps with style. Everyone wants their phone to look attractive and want to do customization as per their need or requirement. Android launchers help you to change arrange, interact and organize your apps in a lovely way that makes your phone more attractive. There are number of Android launchers available but having one of the best android launchers in your phone is very important. Android phones cannot be operated without launchers, and every device comes with its pre-installed launcher. Android launchers come with lots of customization options that help you to change your phone interface, but you cannot do it in your default launcher as it is protected to do so. The operating system is one of the important things that we all consider while purchasing a new mobile phone and we want it friendly, beautiful, and must have lots of personalization options. If you got bored with the interface of the phone, then you may use any of the following android launchers that may help you in the makeover of the phone. 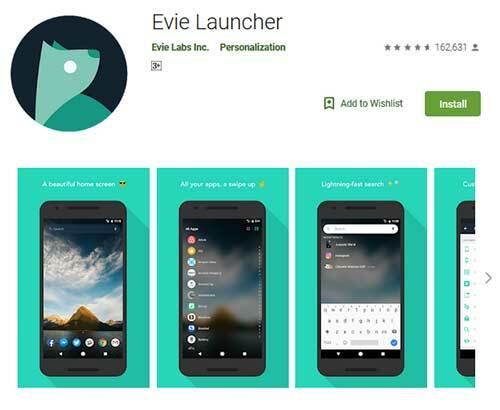 Evie launcher helps you to make your phone faster and easy to operate. You can experience an exceptional replacement of Home screen that designed with presentations in mind. This app is deliciously different and gives a breathtaking performance. It searches in depth of all mobile apps in one place. It comes with instant navigation feature that allows you to get instant access to your apps if you are not in the mood to use the fast search process. You can create custom shortcuts by long press on search buttons. You can personalize layouts, icon size, wallpapers and much more. You can choose a search engine and lock Home screen icons. This app Shows local results and regularly used apps in the search. It helps you to customize the app drawer and folder framework. Ability to arrange apps alphabetical order. You can remove Home screen backup now. The only disadvantage of using Evie launcher is that it does not provide a basic level widget, sizes, and icons. It has 4.7 Stars out of 5. Customize your home screen with Nova Launcher. This app is the best launcher for android because you can change icons, animations, layouts and more by using Nova Launcher. 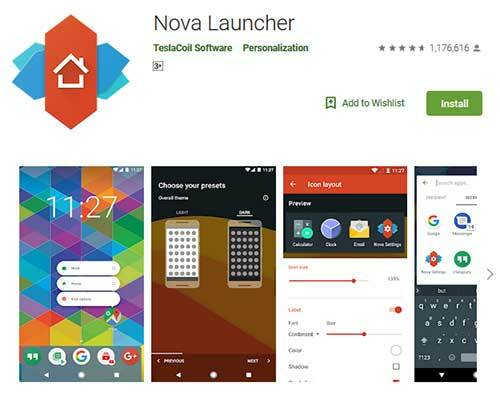 You can find thousands of themes for Nova launcher on play store. With the help of desktop grid cell, you can take a snap of widget or icons. It has color control for folders, unread badges, labels, background and drawer tabs. You can create numerous dock and scroll in between them. Its experience backup system helps you to take backup of desktop layout and launcher settings. It creates a widget with a group of apps that makes faster to use. You can custom tabs by vertical or horizontal scrolling. Options for more adaptive icons available. New window styles in the folder. You can share shapes of folder background as adaptive icons. Vertical and horizontal scrolling options to the folders. Search bar for app drawer stylized like on the desktop. Users may think that new updates to the app are changing the size of the folder icons. The basic version is Free. Premium version costs the US $ 4.99. It has 4.6 Stars out of 5. Google Now launcher is something best of Google to your home screen. 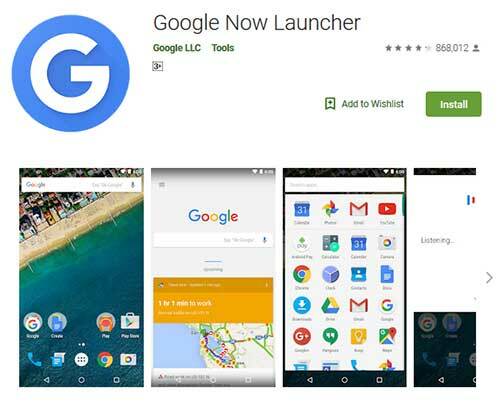 Those who want a fast and clean home screen they must upgrade with this launcher that comes with some of the fantastic features. Google now cards give you accurate information on the right time. From every home screen, you will get a quick command to search. You can instruct your phone what to do with your voice by saying “Ok Google” whether it may be sending text messages or playing songs no matter this app will do all for you. You can arrange apps in alphabetical order and can do fast scrolling and quick searching of the apps. Vertical scrolling of A-Z apps that lists with fast scrolling. Folders can be large and can have more than a single page. You can search apps on your device or from the new one on play store from the alphabetically arranged list.. The updated version includes the new marshmallow wallpapers. For device intelligence app suggestions will be used. Google access gives lots of personal information to access the app. This app is not useful to those who are looking for more customization features because this app has minimal options for customization. It has 4.2 Stars out of 5. 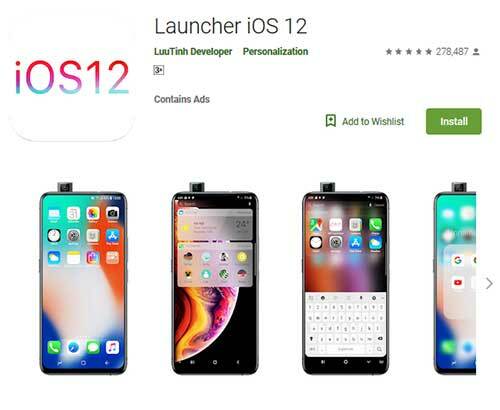 Launcher iOS 12 sets the new standard for the operating system. This app transforms your phone like never before. Use of this app makes your phone more powerful and intelligent device. You will get rounded-corner icons and animation instead of transitions. You setting menu will be arranged like iOS, and you will feel like Apple Assistive touch. This app contains default iOS themes that allow you to do multiple persnalizations. Add wallet, radio, TV, Messenger, Videos, Podcast, News, Netflix, Face time, Reminders, Home, Mifit, Maps icons during change icons. All the issues suggested by users are fixed. It has 4.8 Stars out of 5. Android launchers bring joy to your mobile usage by making your screen beautiful.You are unique, and we think your phone screen should too, that’s why we tried to list the best android launcher apps for you. If you know any other apps that may give better experience from the above-listed app then do share with us. We tried our best to provide the best performing apps that may help you to use your phone in a quick and easy way. Thanks for reading the article and share your thoughts with us. Stay connected for more information. Enjoy! !